Millwall took a double-hit as their lost on both outings this week, first away to Charlton before succumbing to Lewes as Sheffield United picked up a win against fellow strugglers, Crystal Palace. Elsewhere, Durham picked up a narrow win over the Bees as Manchester United hit Leicester City for six. Looking a little more like their old-selves under Rachel Yankey, the Bees fell to their tenth defeat of the season but managed to run the Wildcats close at New Ferens Park. Kathryn Hill’s bullet from 25-yards enough to get the better of Sarah Quantrill and seal all three points 20 minutes from time. Taking care of one of their games in hand, United showed little rust at their eased past an inconsistent Leicester City side. Mollie Green’s 16-minute volley set the tone for the match as the hosts claimed their second five minutes later when Lauren James claimed her ninth of the season with a floated 25-yard drive. It was a day of stunning goals with Kirsty Hanson happy to pick out a beauty from just outside of the box, late in the first half. The rout didn’t stop after the break, with the Red Devils finding a fourth three minutes into the second half courtesy of Ella Toone’s well-taken angled chip. 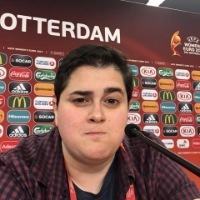 With little chance of a comeback, the Foxes pulled a consolatory goal back ten minutes later through Libby Smith, the 17-year-old hugging the line to perfection before sending the ball home off of the upright. The hosts refused to be draw into a scrap as soon reopened the gap to four, Jess Sigsworth’s first of the afternoon a point-blank tuck to put Amy Turner’s pull back beyond Demi Lambourne. The match wrapped up six minutes from time when Lambourne flew off of her line, the goalkeeper missing the ball outside of the box and leaving nothing but space for Sigsworth to run behind and roll the ball into the empty net. Still struggling to find their footing in the Championship, Palace hung in well to keep the Blades at bay for the first 70 minutes but the hosts, who had largely dictated play found their breakthrough late. Lively from the off, Jade Pennock paired well with Ebony Salmon who set her up before the two switched roles two minutes later, the United loanee free to slot the ball into the waiting net from Pennock’s cut-back. Following a stumble away to Aston Villa, the Addicks got back to winning ways with a confident home performance against the Lionesses. Having taken the lead ten minutes before the break through Kit Graham’s flying volley, the visitors added a second at the Valley as the front line seamlessly linked up, Charlotte Gurr the one to round off the move. The impressive ten-minute spell enough to see the hosts put the match to bed before half-time as Liz Ejupi cut the ball into the bottom left corner from 20-yards. In a scrappy first half it was the hosts who had the edge, Jess King’s seventh minute goal enough for Lewes to keep their noses ahead at the break. 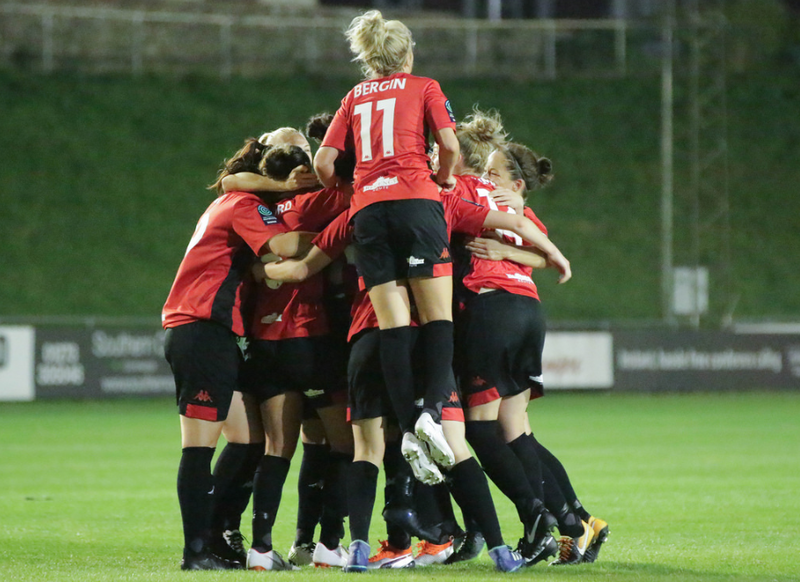 Will Millwall pushing for an equaliser, Faye Baker was kept plenty busy, the shot-stopper a match to all the Lionesses could throw at her, Charlotte Owen’s sublime late strike enough to put the gloss on at the Dripping Pan. Aston Villa vs Tottenham Hotspur was postponed.